I had the opportunity to review one of Anna’s Hammocks recently, but it’s taken me a while to get it published. First, I must say how wonderful Anna has been to work with and I’m extremely grateful for the sample she sent me. The model I’m testing is an earlier model and when reviewing her site recently, and in recent talks with her, I can verify that she has updated her hammock specs, so please take that into account when reading this review. Anna’s Hammocks are made in the United States with expert craftsmanship: tight, straight stitches, and attention to detail. The end channels are double stitched and are the widest I’ve seen, at 4.25 in. (11 cm.). This makes it easy to switch out suspension systems, if you are so inclined. 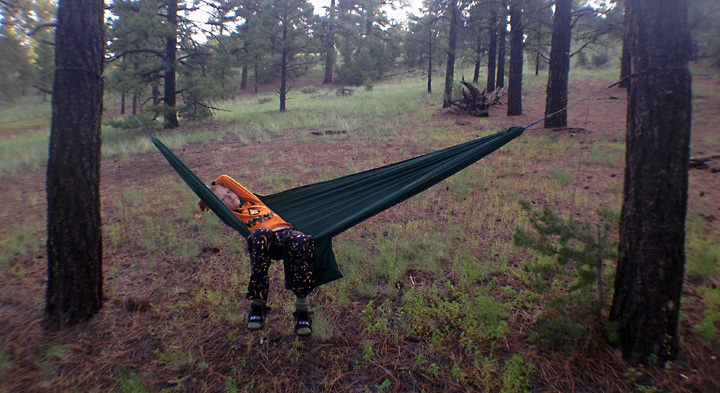 The hammock comes in its own sewn-in storage bag and includes two 10 ft. (3 m.), 0.25 in. (6.5 mm.) diameter ropes. The storage sack quickly caught my eye because it differs from most sewn-in stuffs sacks in that it lacks a draw string and cord lock. The design is like a pillow case, and when stuffed, makes a nice head rest. 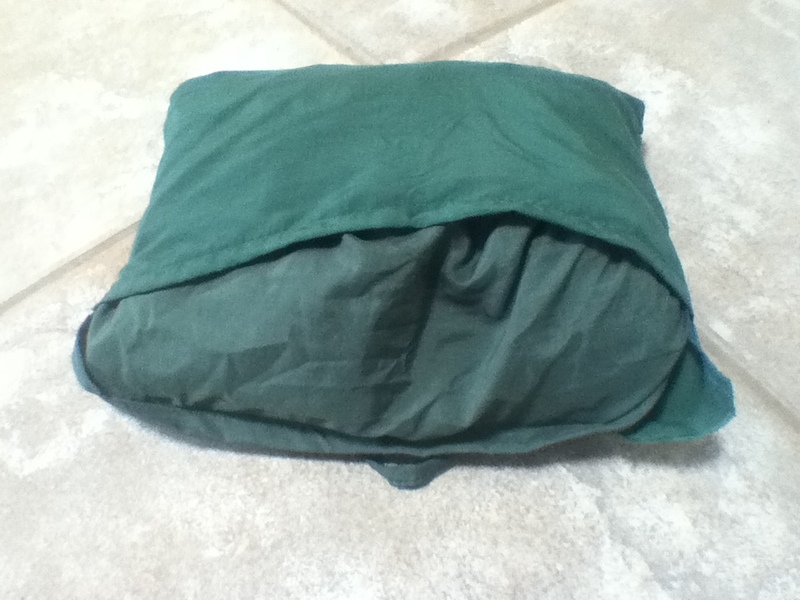 I regret that my stuff sack is starting to separate at the seams after only a few uses. I’m not a huge fan of this style of stuff sack and I would prefer a draw string enclosure. 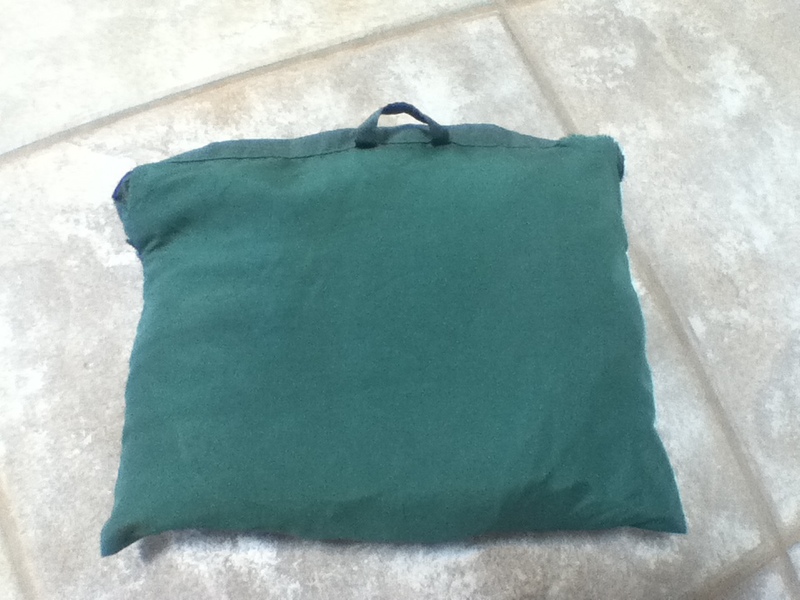 However, the pillow idea has some merit and I think if Anna converted her stuff sack into a Bishop Bag style or double-sided stuff sack it could double as a pillow, and a comfortable one at that. I’ve spent several nights in the hammock so far and the real stand out with Anna’s Hammock is the material. At first, I guessed the fabric was a cotton/polyester blend. I found the material very comfortable and had a substantial feel, while not being overly thick. When I contacted Anna, she told me she used nylon fabric of a special make and I was surprised. It doesn’t feel like the typical nylon hammocks and I haven’t experienced any static charge as I have in other hammocks made with synthetic material. I really like the feel. The suspension ropes leave a little to be desired. Anna mentioned that she was considering webbing straps and I am pleased to see that the straps are now being offered, although they are a separate purchase. For anyone considering Anna’s Hammocks, I strongly encourage getting the straps. For starters, the straps help distribute the weight around a tree and protect the bark better than a single rope. Second, the straps offer a great lashing point for the included rope. 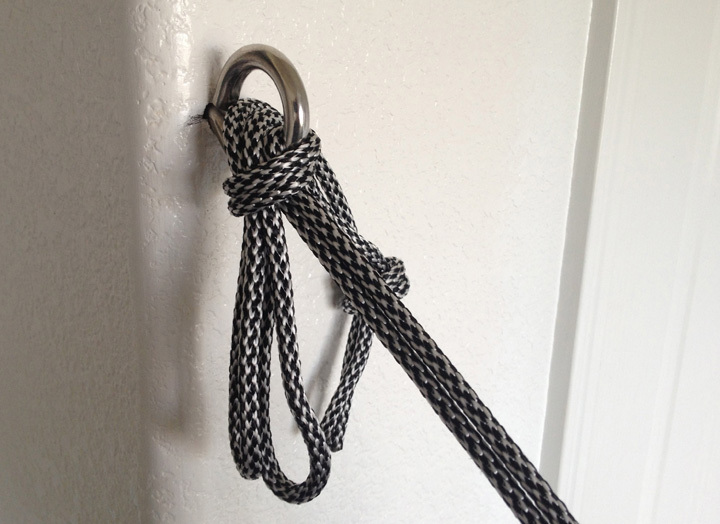 Using a climbing carabiner or a figure-8 lashing to the webbing makes set-up much easier. In my home, I have eye bolts set up in a few rooms and this is where I used Anna’s Hammock multiple times. For indoors, her rope set was perfectly suited. I tied a simple overhand knot with the two rope ends, and fed the loop through the eye bolt and then tied a slippery Lark’s Head knot. The model I tested is only 8 ft. (2.4 m.) long, which is short for a gathered-end hammock, but still serviceable. I found that pitching it at a 20 degree angle provided the best comfort. Anna’s Hammocks are now sold at 9 ft. long (2.7 m.), which will provide even more comfort, given the same width. Overall, I really like the feel of the hammock. In fact, If the hammock came in a 10 or 11 foot length, I’d use it often as a go-to hammock for all-around sleeping in my home; the fabric is that cozy. For backpacking, I’ve switched out the ropes for some Amsteel loops to both save some weight and make pitching a little quicker and easier, and I can use my separate bug nets and rain tarps for the complete package. Hey nice review! I’m interested in Anna’s hammocks! What’s the website? It looks like they are out of business, sorry!